The product and the company name become the brand name. Your brand is not just at the heart of your marketing strategy it is the foundation of your business. It is the identity that sets you apart from any competition and represents your underlying personality and values. 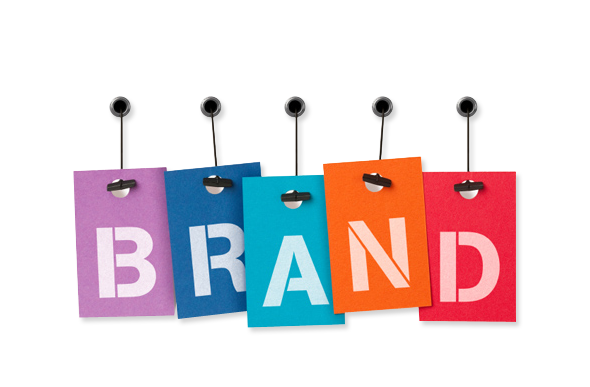 A strong brand will be the key to building a long lasting engagement with your customers. Our team here at Redback Studios specialise in branding and have worked with many businesses on both brand creation and brand strategy. We can work with you from the initial stages of the branding process right through to implementation and future brand extension strategies. We always start by taking the time to discover your current brand and will carry out full research highlighting strengths and weaknesses whilst looking at brand perception. Researching your competitors will also allow us to assess the positioning of your brand, highlight possible opportunities for differentiation and discover elements which we could use to ensure we create 'standout' for your brand. If you would like to create a new logo or refresh an existing logo, our graphic design team can help! They will work with you through various stages including an initial ideas and concept creation meeting followed by the presentation of logo options, a review process and finally the completion of your logo and alternate versions for use across multiple platforms. After the creation of a new logo, or taking the lead from your existing logo our team can create a full brand guidelines document outlining correct logo usage, corporate fonts, brand values and tone of voice across all communication channels. Our award winning design team have worked on and produced some fantastic brand identities - from football clubs to hotels to schools. A brand excels by leading with a unique design, using bespoke elements and the latest in technical innovation. Our team can roll out your brand and produce marketing materials across any number of channels. From printed materials like a brochure, leaflet, folder, prospectus or business card to outdoor advertising materials, exhibition stands, promotional goods and much more. Take a look at our work in the portfolio here. To speak to one of our Marketing & Branding Consultants, contact us today and we would love to talk through exciting new ideas to ensure your brand continues to connect with your customers consistently across every channel. Redback Studios is a leading Web Designing Company in Vellore, Chennai, tamilnadu, India. As a creative and professional Website Company, we also offer digital services like web design, Web development, SEO Services, Domain, hosting, Digital marketing, branding on your website for getting great number of leads.